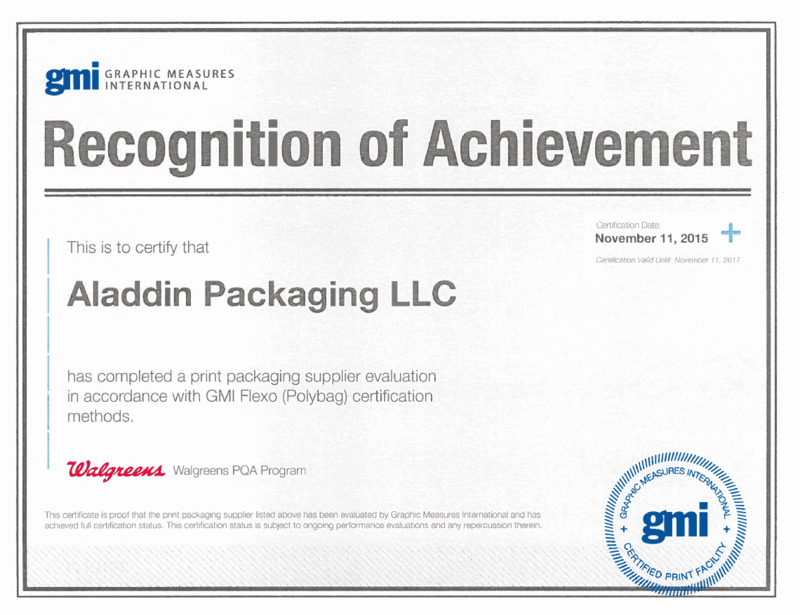 Aladdin Packaging LLC is an all-American flexographic printing company with a strong history dating back to 1970. Thanks to our opportune implementation of remarkable technological advancements, we have enjoyed rapid expansion in time with industrial and commercial growth across the country. 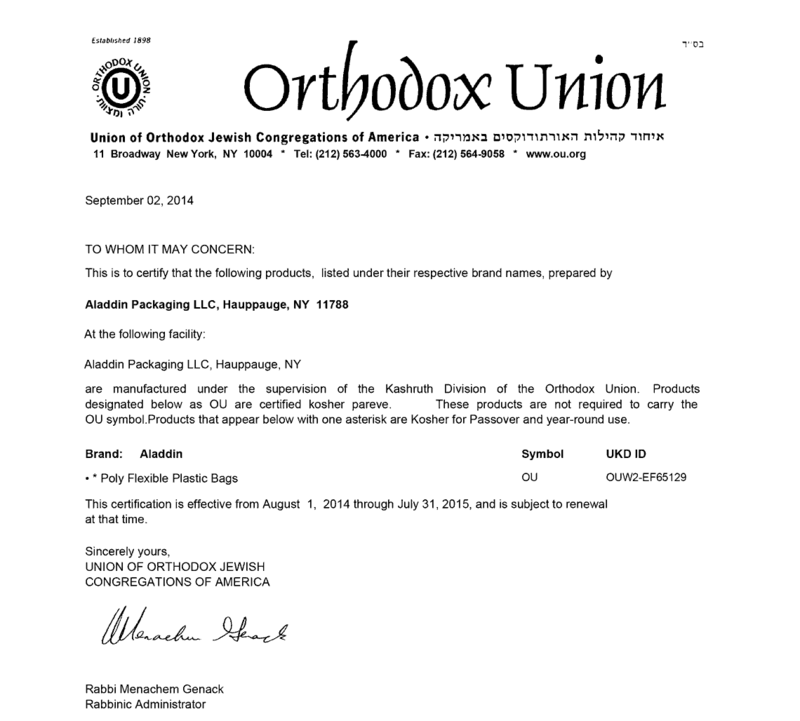 The Mandel family acquired the Aladdin Packaging company in year 2005. Under the leadership of our president and CEO Rachel Mandel, we further refined our processes and invested in the finest machinery available. In addition, we added cold-seal packaging – typically used in the packaging of chocolates – to our line of reliable services. Our next big move came in year 2011, as we relocated into a beautiful facility twice the size of its predecessor. 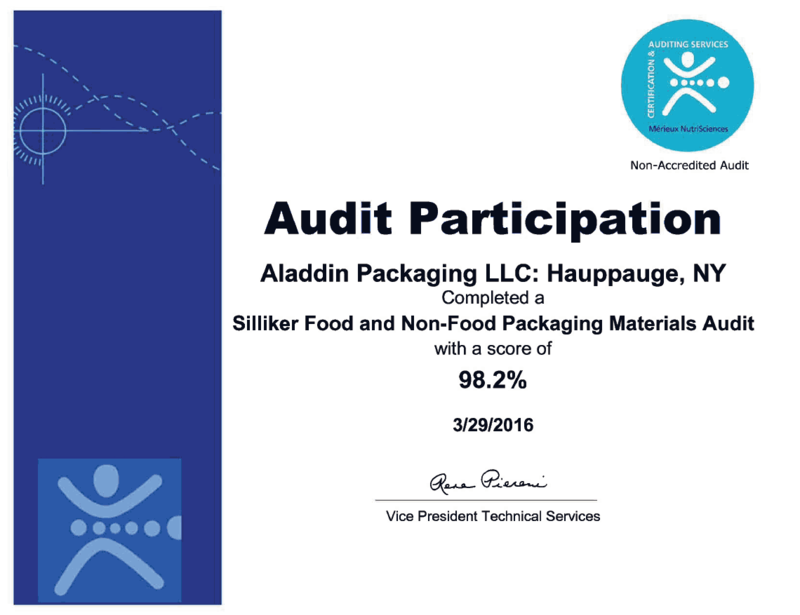 Currently located in Hauppauge, New York, Aladdin Packaging occupies 75,000 square feet of factory space. We utilize the latest word in packaging technologies to offer flexible printing and conversion onto many different substrates including polyethylene, polypropylene, paper, polyolefin, polyester, PVC, shrink films, metalized films and cellophane. We produce zippered/resalable bags, pouch bags in both standup and flat-bottom varieties, basic side-weld bags, as well as polyolefin shrink bags that are widely used in the meat-packing industry. We've also recently begun offering nylon products – particularly those used in the cheese and meat industries. The Aladdin edge is in our ability to prioritize your job and deliver it quicker than anyone else in the industry. 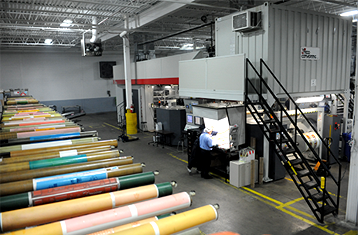 We can expedite and turn around any order at record speeds, from simple one-color spot printing to highly complex 10-color process jobs. Even as a market leader, Aladdin remains dedicated to the interests of the people it serves. We continually invest in the latest technologies that allow us to fulfill your order quicker, with more accuracy, and with zero hassle on your end.